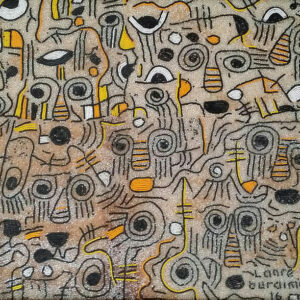 Lanre Buraimoh, born in Osogbo, Osun State, Nigeria, trained under the skill full hands of his parents. 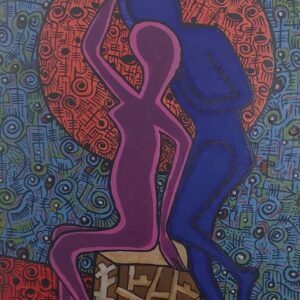 Lanre busted out from art inclined family in the city of Osogbo known by the water of the famous Nigeria of Osun River in Osogbo . 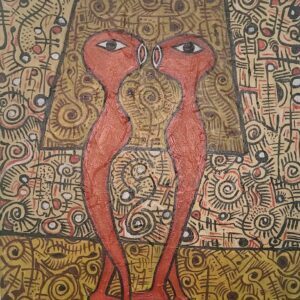 Both his parents, Chief Jimoh Buraimoh and Mrs. Alake Buraimoh, are contemporary artists well known amongst their Nigerian peers and also celebrated abroad. 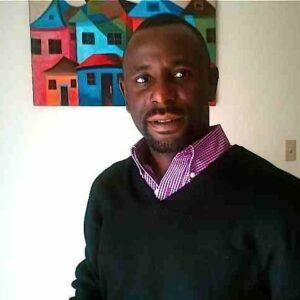 Osogbo being singled out as an ancient city that is known for her cultural richness and artistic legacies produced the likes of Lanre Buraimoh. 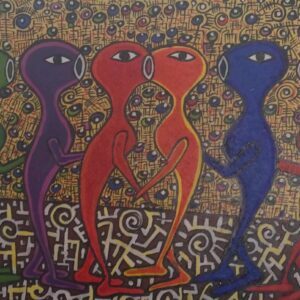 At the genesis of his career, there are two major things that characterized Lanre Buraimoh’s works; the first is the art training he received under the tutelage of his parents and second is the society, particularly Yoruba Society. His style of bead painting techniques projects Yoruba symbols and the theme of his works majorly reflect Yoruba traditional belief, love, entertainment, animals and unity. 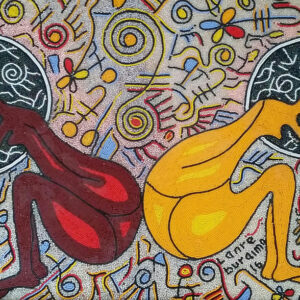 Today ‘Lanre Buraimoh art is one of the most versatile pieces in this modernized version of the West Africa art form. 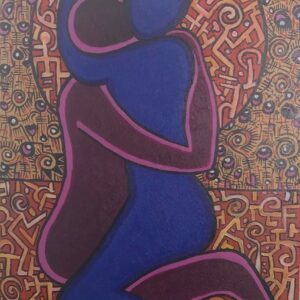 His beautiful and colorful signature bead painting is widely exhibited in Nigeria, London, Canada and United States of America. His work has won international recognition awards from American Art Award, Sky Forest California, Coastal League Museum in California, American Art Award California, Light Space and Time Gallery in Florida and People Upstream Gallery Omaha, Nebraska. In addition to creating art, he has conducted art workshops to kids and adults of different ages both at home and abroad. Lanre is known for his originality, simplicity and bright colors of shinning glass beads.